The drought is over. The Western Bulldogs, the sons of the Scray, the Dishlickers, the Saltwater Lads have won a premiership for the first time since 1954 and football is better for the experience. 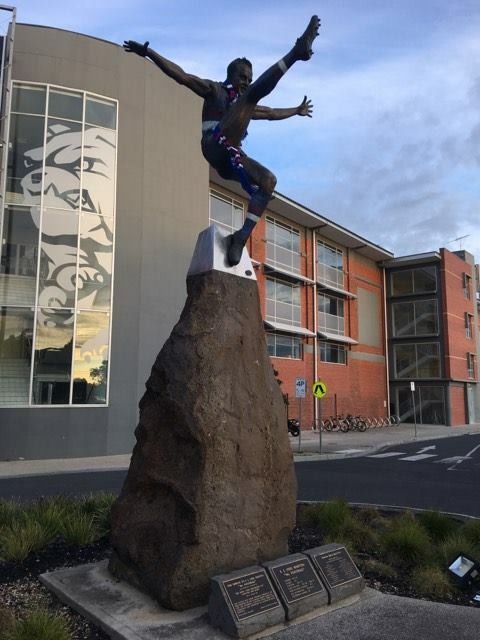 The vortex of tribalism is a wonderful thing, and when you combine 62 years of angst with living a stones throw from the Whitten Oval, that’s a recipe for some of the most hair-raising experiences you are ever going to have. All week, the nerves and excitement had built to boiling point and as Tom Boyd bombed the sealer through from close to sixty metres, the longest premiership drought and the years of heartache that came with it were over. The Grand Final party I was attending might as well have been a Bulldogs only event, despite the fact there was one Bulldog fan among the entire gathering. These scenes were undoubtedly replicated across the Western Suburbs, however I had the good fortune of being a few hundred metres from the spiritual home of football in the west. The sound of the siren was barely audible about the shrieks of delight coming from those around me. My heart skipped a beat, not for my own team, but for my community and the loyal Doggies I know who often lamented the fact that they would never experience the joy of 1954 or the heartache of 1961 (something which they’d be better of not experiencing). As the realisation sunk in there was only one thing left to do – make tracks for Whitten Oval. A chorus of out of tune “Sons of the West”, mixed with car horns blaring and screams of delight were all around, yet Whitten Oval itself appeared to grind to a halt, paused in a moment of glory that will live on for generations. A photo in front of the statute of Ted Whitten was followed by a walk towards Barkly Street, where scenes of pandemonium were unfolding. Hundreds, if not thousands, of staunch football fans, many dressed in red, white and blue, were cheering, singing and waving to every car who drove past as horns blared. In the moment, the spirit of sport was exposed for what it is – the greatest emotional roller coaster anybody could ever strap themselves in for. Football for too long has been the tale of the big clubs, while the underdogs have been left to wonder what might have been. Yesterday, the Bulldogs broke the back of that myth and proved that any one of the eighteen clubs can go on to do the improbable. It’s not about free agents or million dollar contracts – it is about finding players who are the walking embodiment of the organisation that they play for. A willingness to play for the jumper, the history of their club and each other as they aim to write a new page, to go down as immortals. No club is without its dark days, and without those dark days the sun couldn’t shine as brightly as it is in the west today. Once, just once, I want to live the release of euphoria I witnessed yesterday. Over to you, Melbourne Football Club.